Home / -Preview- / Bee Gees / Blondie / Bruce Springsteen / Daryl Hall and John Oates / Earth Wind and Fire / New Order / Preview / Prince / Tears for Fears / Temptations / Twisted Sister / Preview: It's Another 70's & 80's Soundtrack Extravaganza With "Ready Player One"
Preview: It's Another 70's & 80's Soundtrack Extravaganza With "Ready Player One"
Two of the biggest soundtracks of the last decade had nothing to do with symphonic background music or modern music. They were showcases for the music of the 70's. Guardians of the Galaxy: Awesome Mix volumes 1 and 2 are now chart perennials with the music from the first film coming up on its fourth anniversary of release. They follow in the grand tradition of earlier soundtracks like American Graffiti, showcasing music from a specific era of rock music. 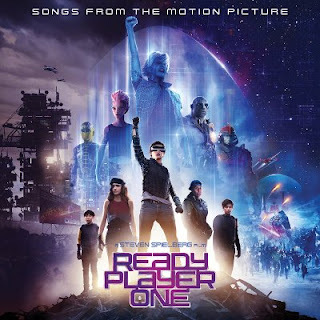 Steven Spielberg's new film, Ready Player One, opens tonight and includes a slightly wider playlist of well known music ranging from 1971's "Just My Imagination" by the Temptations to Bruce Springteen's 1985 b-side "Stand By It" with the music of Prince, Blondie, New Order, the Bee Gees and Hall & Oates in between. Plus, like Guardians of the Galaxy, the film is set in the future where, evidently, the inhabitants listen to late-century pop and rock like it were classical music. Billboard recently revealed the track list.